“I” Contact – Love. Life. Practice. According to Dr. David Givens, author of Love Signals, increased eye contact between couples can improve and increase the biochemical bonds between couples. I mentioned this a bit back in the post on Eye Gazing, but that was directed towards couples. I’d like to propose this week you try and make it a little less focused on intimacy and just focus on connection. When I was in Amsterdam recently my gracious hosts took me and my friends out for some drinks. Of course someone proposed a toast, and I learned what was apparently an important part of Dutch drinking: whenever someone proposes a toast, as you clink the glass you have to look the other person in the eye. Failure to do so is a social faux pas equivalent to shouting “Go Packers!” in a Pittsburgh bar, and likely to be even more physically incapacitating. 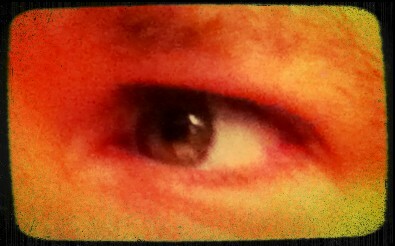 Eye Know What You're Thinking! While I can’t vouch for the veracity of that claim, I do know that the act of meeting my counterpart’s eye as we clinked glasses gave that simple process a jolt, a kind of electric energy that is lost in most toasts that I see. It made me think hard about the ways we interact. Sure, lots of people like hugs, but it’s not quite appropriate in our culture to hug everyone as much as you might like (or as much as they might need). But if eye contact can be something of an intimate act – a “long distance” hug, if you will – perhaps we can improve the total sum of oxytocin released into our world by meeting the eyes of the people we interact with. I’m not talking a spooky staredown. I’m talking about just looking people in the face when they ask “Do you want fries with that?” I’m saying that when you see the teacher, before you ask “How was my son behaved today?” you look them in the eye. Just try putting a little extra “presence” in your contact with other people. Keep in mind, I’m going to be trying this too. I think it came to mind as I end my time here in Madison, visiting many of my family members. Because it’s going to be a while before I see them again, I found myself looking more into their eyes, as if trying to memorize something about them. The connections seemed stronger, the interactions more meaningful. I already know it’s a worthwhile habit…public speakers, career coaches, many people know about how making eye contact will make you seem more confident, friendly, powerful, trustworthy. What they don’t usually talk about is that it is like a “hug-lite”, giving a tiny little neurochemical burst of happy juice to the person you’re sharing a gaze with. Hey there! How about some virtual contact as well? If you have some thoughts about this post or any of the others here, let me hear from you, either in the comments or by emailing gray@lovelifepractice.com! Before giving this a try, I decided to pay a little more attention today to see just how much eye contact was happening among the people around me. I was quite surprised at how little actually took place. Should be interesting to see if a deliberate effort will make a difference.